Today we stumbled upon another patent from Samsung. The Korean company filed a patent with KIPRIS (Korean Intellectual Property Rights Information Service). 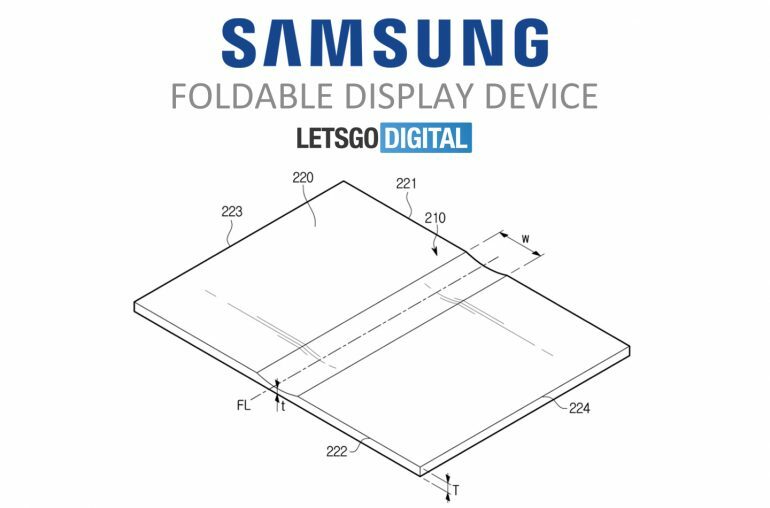 We again see sketches of a foldable display screen, but this time it’s not a flip phone design it´s a foldable tablet. This is not the first time we have seen a foldable tablet design. It was Samsung themselves who published an advertising video demonstrating a foldable tablet back in 2014. Two years earlier the company already showed a bendable AMOLED display prototype. The patent was filed on November 6th and shows a foldable display of glass, to achieve an ultrathin design. The patent can be seen here. Back in September Samsung Mobile CEO Donjin Koh confirmed their plans on releasing their first foldable smartphone in 2018. This phone is likely to be called Samsung Galaxy X. The CEO did not talk about a foldable Galaxy tablet, but it seems we may welcome both next year. Another company that is expected to launch a foldable tablet and smartphone soon is Lenovo. The company already showed various concepts. 2018 will undoubtedly be the year for manufacturers to launch bendable consumer electronics.